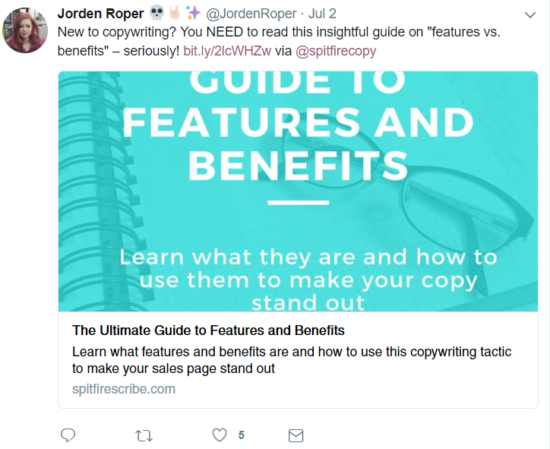 You’re expected to feed your social followers buzz-worthy content on a consistent basis but don’t want to parrot your own stuff over and over. 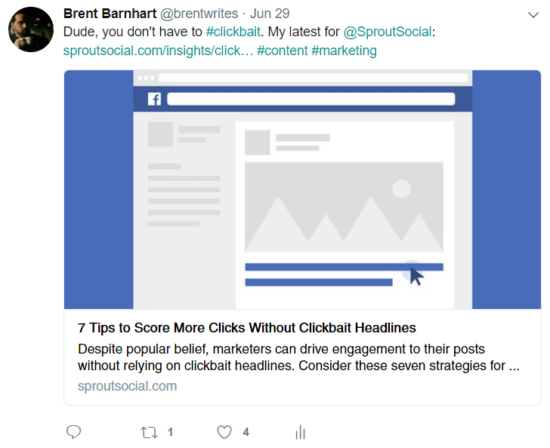 Content curation is easy to screw up if you’re stuck in the habit of haphazardly posting social media content without some sort of time-sensitive strategy. On the flip side, you can’t put every piece of your social feed on autopilot unless you want your followers to think you’re a robot. Here’s the deal: your social presence doesn’t have to be the same “look at me” posts over and over. It doesn’t have to look like a jumbled mess, either. Unfortunately, so many brands fail to find the balance between effective automation and personalization. This results in a less-than-stellar social presence and very little love in terms of followers, clicks or engagement. 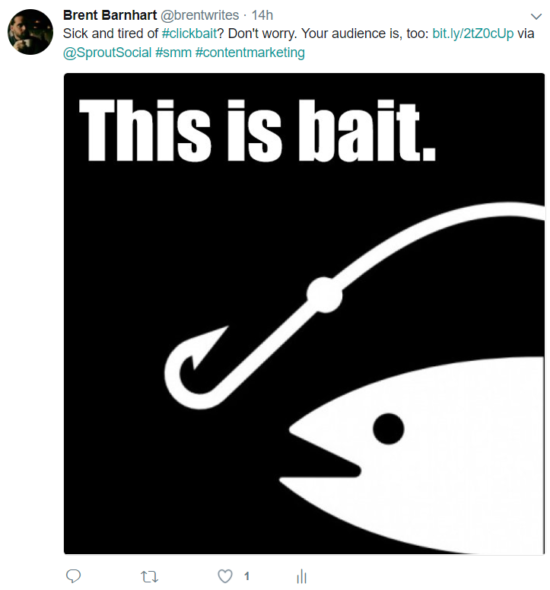 So, what exactly are brands doing wrong that’s sinking their social strategies? Keep the following in mind as an exercise in how not to handle content curation. Social scheduling is a no-brainer for modern brands, especially given what we know about the best times to post on social media. After all, marketers are expected to be in a million places at once in terms of social posting, right? However, attempting to post fresh content at the “optimal” times day after day without a scheduling solution will inevitably leave you reeling. If you’re consistently stressing out about being “on time,” you’ll never actually get down to business. That’s exactly why social media scheduling is the bread and butter of today’s brands both big and small. Scheduling removes the time-sensitive stress from your content curation efforts. Scheduled posts establish the foundation of an effective social feed. It’s not about sticking to a rigid timetable, but rather covering all of your bases. Think about it. By having your most important content, lead magnets and brand hashtags taken care of in advance, throwing in that random retweet or non-promo post is no big deal. In short, scheduling allows you to stay one step ahead when it comes to content curation. OK, so posting fresh content is a no-brainer, right? Sure, seems like it. Then again, We can’t tell you how many times we’ve clicked on a “breaking news” post or listicle that ends up being 5+ years old. Don’t let your social feed get stuck in 2012. Instead, you should play an active role in content curation by seeking out new pieces relevant to your readership. Doing so signals you as someone who’s on top of their industry versus someone who has to scramble for new content. That’s why content curation platforms such as Feedly are so valuable to modern marketers. 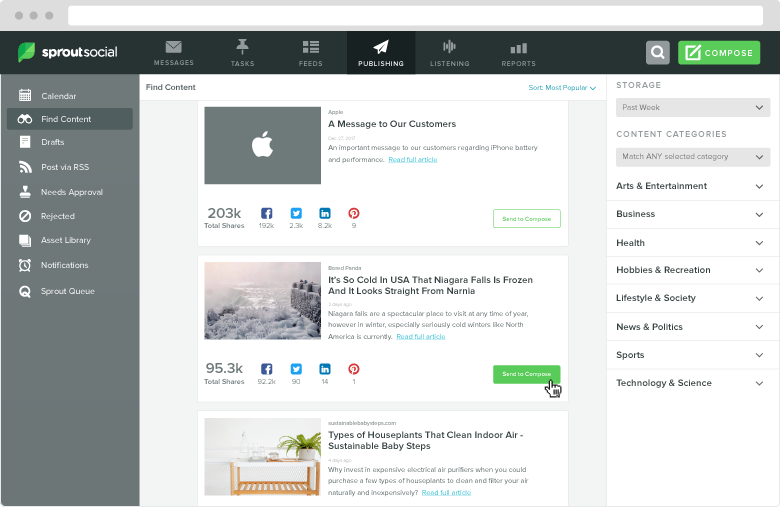 Rather than having to slog through an endless sea of tweets or blog posts, Feedly provides a context flux of relevant content that your followers will eat up. 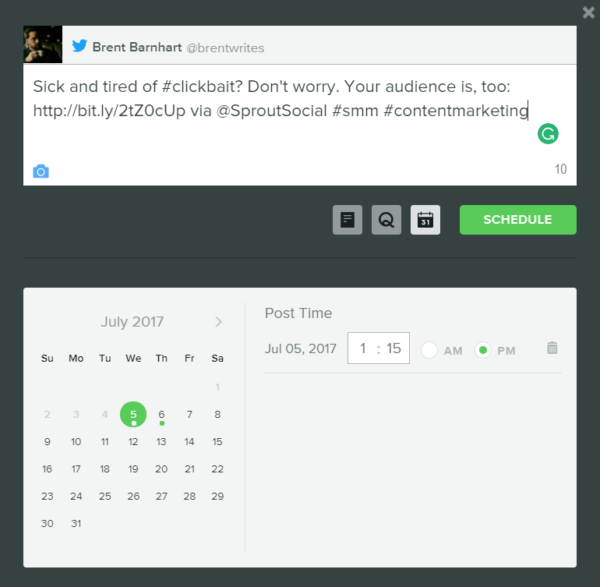 Pro Tip:Feedly is already integrated into Sprout’s scheduling platform, making this process even easier. 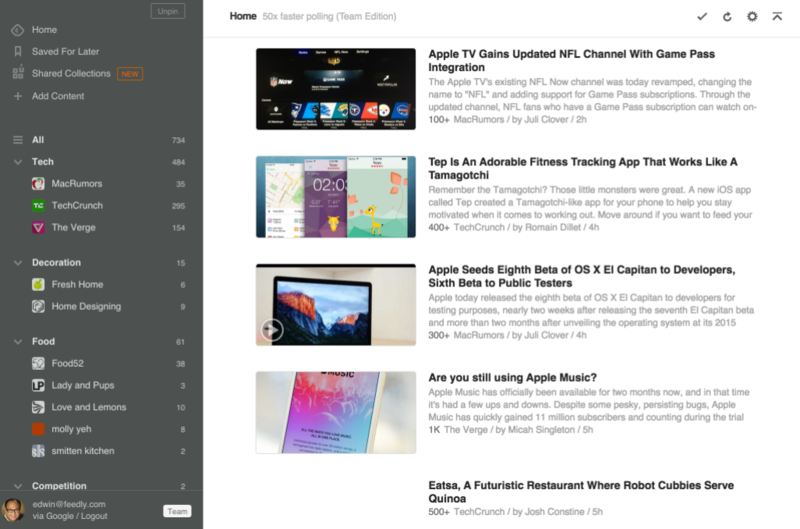 In addition to our Feedly integration, Sprout also has a new Content Suggestions feature that makes finding content to curate a breeze. 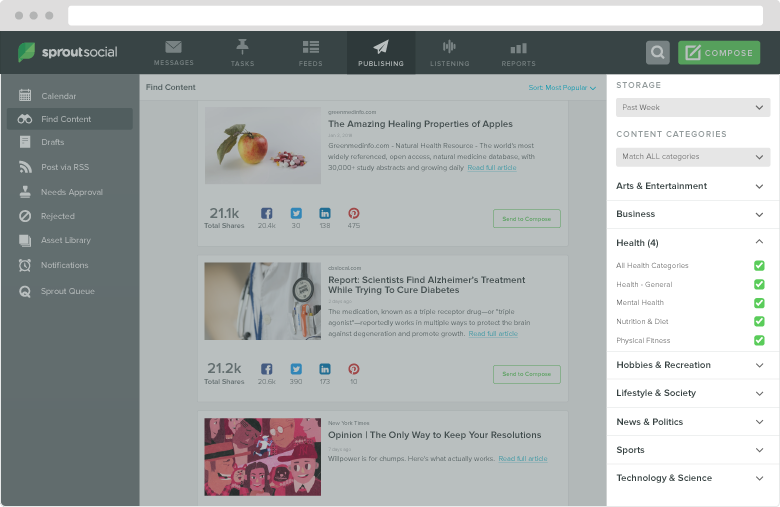 In the Publishing tab, just head to the Find Content section and you’ll see a list of relevant content sorted by industry/category that has been highly shared on social. Once you find an article you want to share, just hit Send to Compose and you can share the post immediately or schedule it for later! Despite popular belief, social media doesn’t have to be massive time-sink. 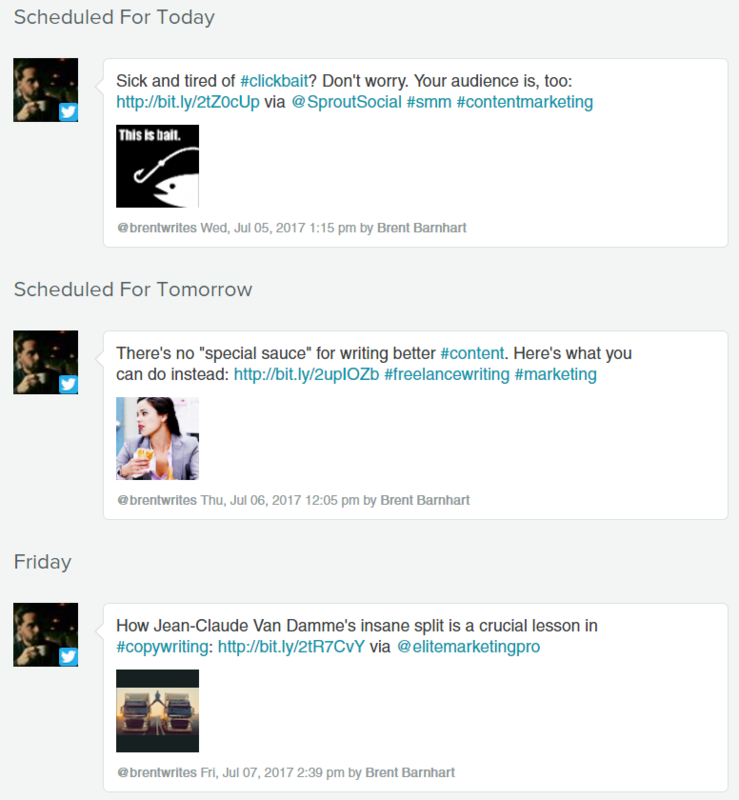 Scheduling tools and content curation capabilities represent a double-whammy for a social presence that cuts down on wasted time and needless stress. Most importantly, your followers never grow bored when you have a slew of fresh sources to choose from. Believe it or not, who you follow is an incredibly important piece of your content curation strategy. They say imitation is the sincerest form of flattery, right? When you follow purely self-promotional brands, you’re not learning much in terms of what your followers might want. But when you follow flesh-and-blood influencers in your space, you can better understand what makes your audience tick. 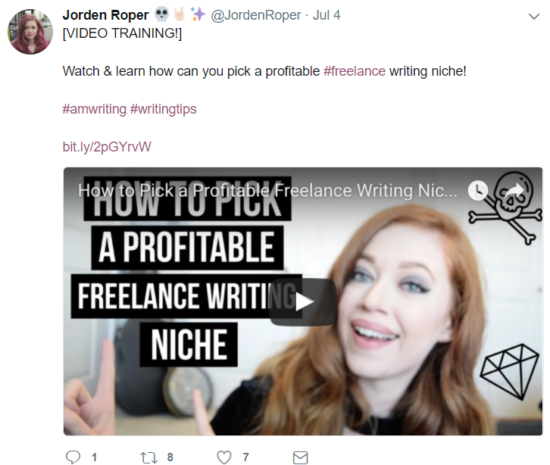 Likewise, big names in your industry are prime candidates for tagging and Retweets, which can encourage more eyes on your posts. 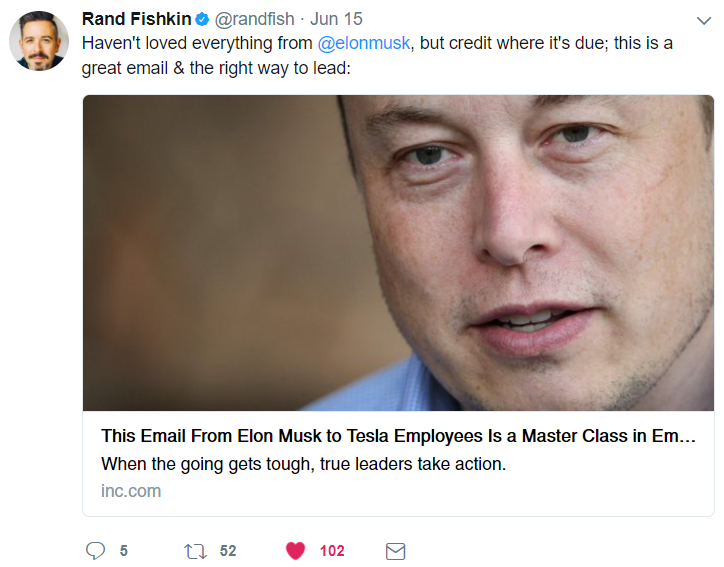 For example, some go-to social feeds for shareable content include people like Rand Fishkin of Moz, Brian Clark of Copyblogger and Jason Fried of Basecamp. These rockstars represent beacons of good content that’s relevant to content curation and content readers in our industry. And when we say “good content,” we’re talking about posts that are actionable, educational and entertaining. If you’re familiar with the tone and content of these guys, you can quickly scan and share their latest pieces with peace of mind. Make it a point to build a list of designated influencers and brands where you can pull content. Over time, you’ll determine the types of pieces your audience is hungry for and refine your content curation strategy from there. Another tweet, another link. Another tweet, another link. Hey look, it’s another tweet. And another link. Don’t make the mistake of souring your feed because you post little more than just links. You may craft the best pieces of content in the world, but as the old saying goes: It’s all in the presentation. Seriously. What incentive does someone have to follow a never-ending link dump? It’s shocking how many brands lack any sort of flavor when it comes to their social feeds. There’s no excuse for not switching up your social content when so many options exist. Given that social posts with images and videos receive more engagement, there’s reason not to go beyond strictly link-based posts. Writing Revolt’s Jorden Roper represents an awesome example of content curation done right. At a glance, her social content includes a wide variety of posts including traditional links, videos, motivational quotes, shoutout posts and hashtag-heavy posts. And that’s just for starters. The key takeaway here is that a well-curated feed has a sense of variety. Posting link after link does not feel human to your followers, which ultimately makes your feed seem underwhelming. It’s considered bad manners to hog the conversation and solely talk about yourself, isn’t it? The exact same principle applies to content curation. According to the Sprout Social Q3 2016 Index, 60% of followers are annoyed by over-promotional content. 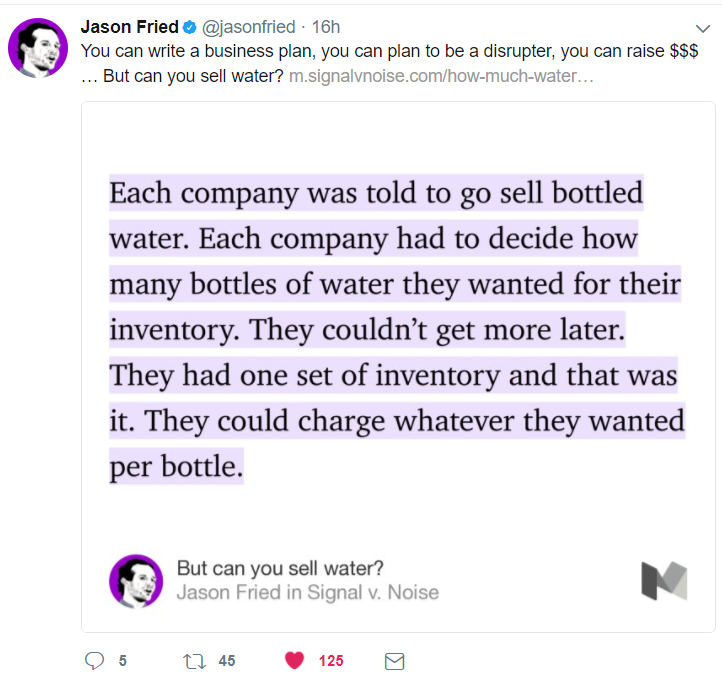 Just because you have a product or service to sell via social doesn’t mean you should shove it down your followers’ throats. Purely promotional feeds don’t attract followers, either. Why would they? Meanwhile, solely singing your own praises could potentially poison your brand by annoying or irritating your audience. The point of social media isn’t to be an island, but rather spark a conversation. While you obviously shouldn’t promote your competitors, there’s no harm in showing some love to your peers or other players in your industry. 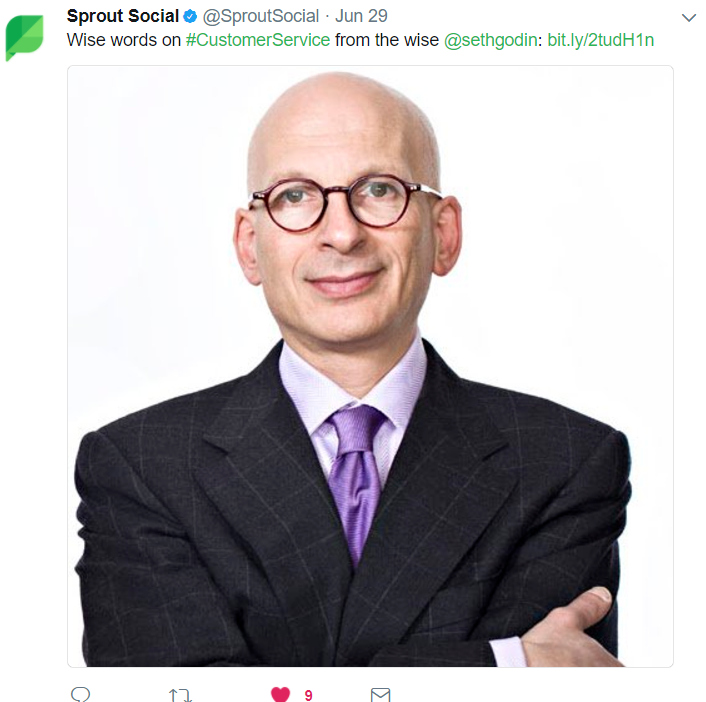 Although there are plenty of recommended ratios out there, the 80/20 rule is the go-to principle for many social marketers today. This rule means only 20% of your content should be promotional, while the remaining 80% is in the creative realm. There’s no denying that finding the balance between education, entertainment and promotion can be difficult. Just remember that the purpose of content curation is to benefit both you and your followers. If you solely try to sell yourself via social, your audience will see right through you. Finally, let’s talk about the elephant in the room for many new marketers regarding content curation. 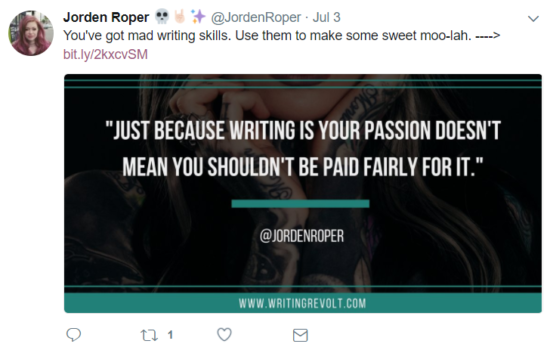 What if you don’t have much of your own content to work with in the first place? Recycling and repurposing your social posts is almost an art form and in and of itself. By creatively re-captioning and repurposing your existing content, you can get more mileage out of your content curation efforts. And again with a cheeky meme! The idea isn’t to create the illusion that each of these posts represents a new piece of content. 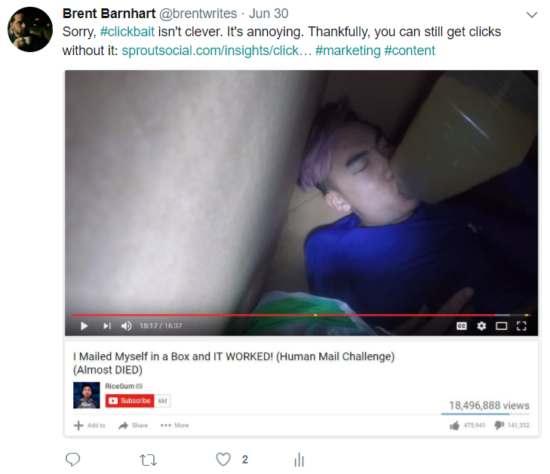 The point is that through recycling your posts with unique captions, you create more opportunities to get your content in front of fresh faces. Considering that Twitter in particular moves so quickly, it’s inevitable that not everyone on your list will see your pieces the first time around. Reworking your captions to recycle your posts also keeps your followers from growing bored with your feed. The lesson here? Don’t simply stick to the same default captions every time. This small but subtle touch will make your social feeds seem less stale even if you’re working with a limited amount of your own content. 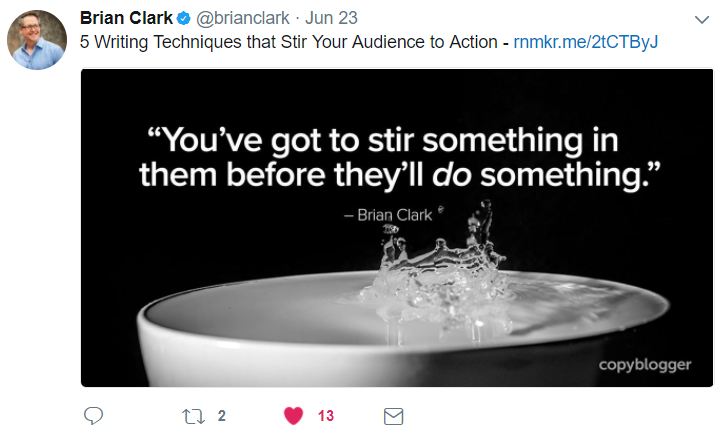 Effective content curation isn’t about blasting posts at random and hoping that something sticks. By knowing what not to do in terms of social content, you can devise a strategy that combines a variety of smart scheduled and organic content accordingly. On that note, what are you absolutely sick of seeing when it comes to content curation? Anything stick out as spam to you when it comes to scheduling? We’d love to pick your brain in the comments below.